The RPM's Open-C Canopy is a proven shape that has spawned an entire category of kites. For general freeriding, it provides responsive handling, smooth power delivery throughout the window, great boosting ability and powerful but predictable loops. For dedicated freestyle and wakestyle, the RPM's shape delivers amazing load and pop, smooth pull, massive carry and flawless unhooked performance. No matter what category you fall into, the RPM will improve your entire kiteboarding experience. The RPM is a high-flying, hard-charging kite with multiple world titles under its belt. But the RPM isn't built for the most elite competitors; the top of the podium is just a byproduct of exceptional design. The RPM is built for riders like you. You want safety, reliability and predictability in all wind conditions. You want high performance and low risk. You want a kite that won't hold you back, no matter how much you progress. You want a kite you can count on when conditions get gnarly, when your friends challenge you to a jump-off or when you're bound and determined to take that next step in progression, whatever that may be. If that is you, your kite is the RPM. 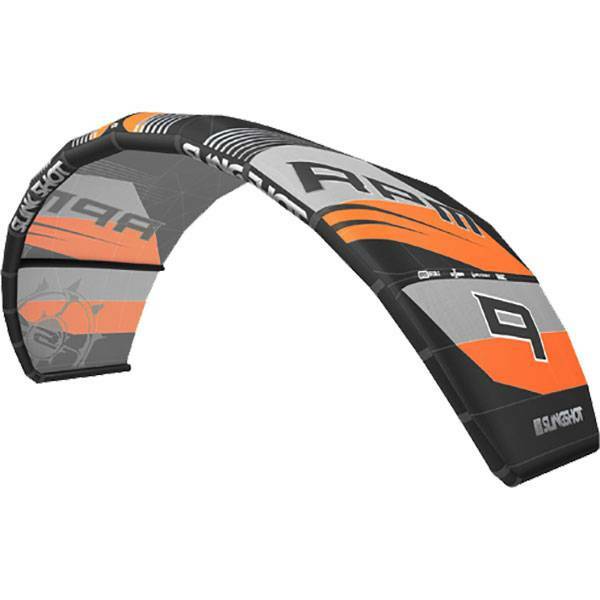 The RPM is packed with technical features that give this kite its legendary performance and durability. 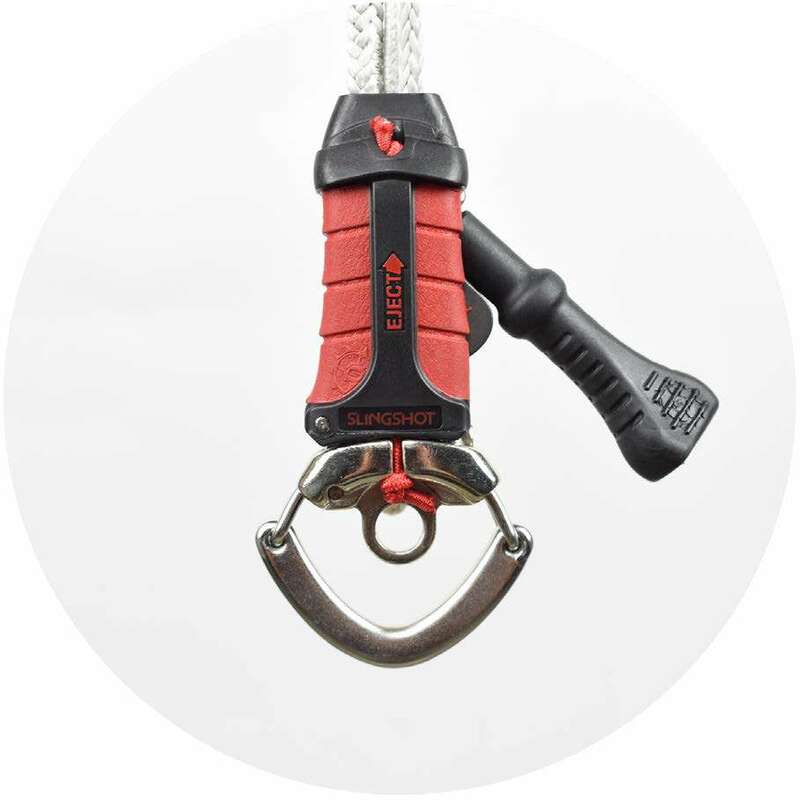 From a gridded surf-tough canopy, reinforced leading edge seams, Split Strut construction and strategically placed Kevlar scuff guards to Slingshot's unique shock-absorbing IRS bridle, multiple attachment points for fine-tuning and our patented One-Pump inflation system. 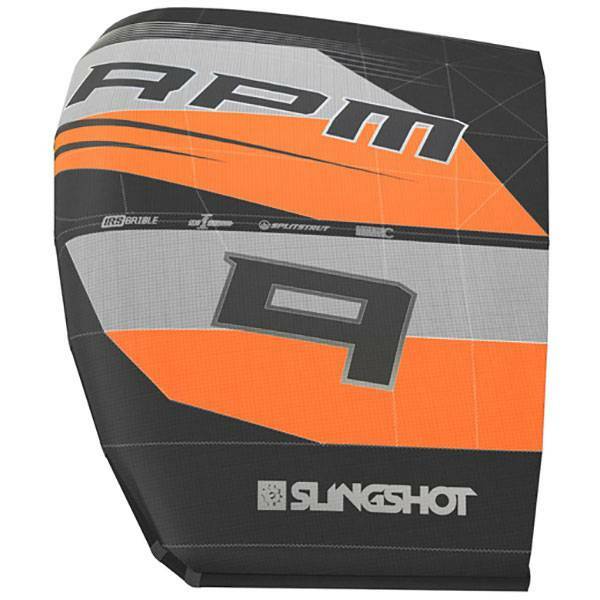 New for 2017, Slingshot added material upgrades to make the kite even more bombproof. Trailing edge tension is now controlled with the addition of Teijin T2 Polyester rip stop canopy material. This decreases trailing edge flutter and increases durability. We also reinforced the one-pump inflation valve's connection to the bladder to help prevent blowouts caused by improper hose attachment/detachment. Finally, we added Kevlar patches to prevent bridle rub on the trailing edges. RPM bridle setup: The RPM features Slingshot's unique shock absorbing IRS bridle system. 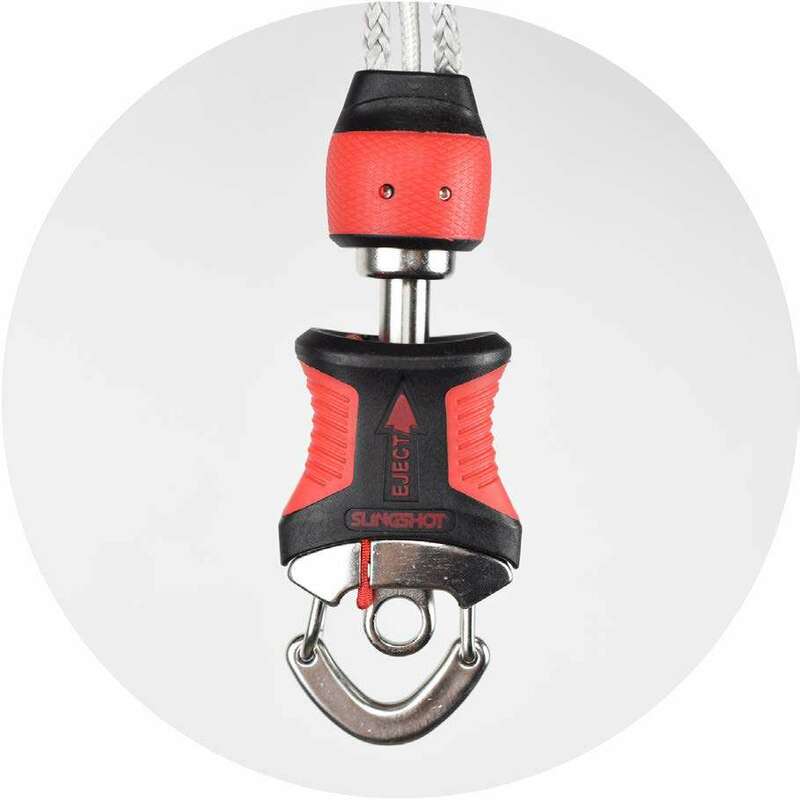 This pulleyless, direct-connect bridle incorporates bungee lines that flex and retract to keep proper tension in the lines as you steer the kite. 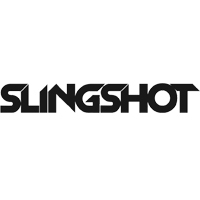 Slingshot introduced this bridle concept in 2015 and have had overwhelmingly positive feedback about the responsive steering and direct feel it creates. 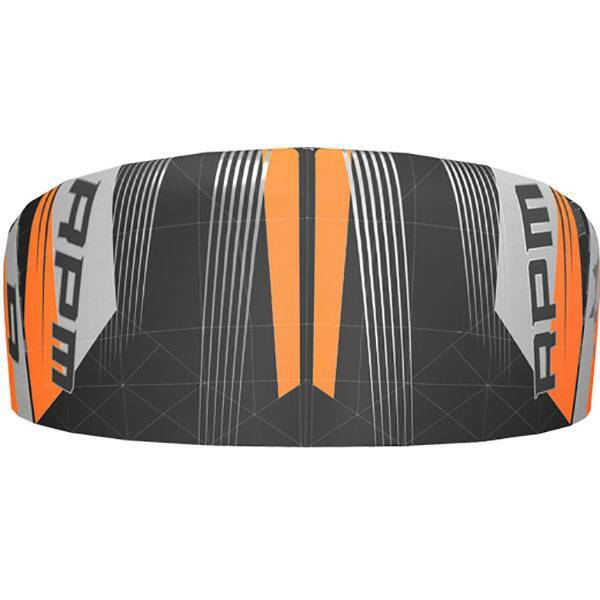 For customized performance, the RPM's wingtip bridle can be connected at three different points, which allows for tuning of bar pressure, kite feedback and steering speed. Split Strut: Invented by Slingshot and adopted as the industry gold standard in canopy construction, Split Strut design integrates the kite's struts into the structure of the canopy. This results a stronger, more stable and more durable canopy. SplitStrut enhances power under heavy load and creates superior efficiency and rigidity in the overall frame. One-Pump: Slingshot patented the One-Pump system years ago, and today the innovation can be found on almost every kite on the market. The One Pump Speed System makes inflating your kite quick and easy; simply attach your hose and pump your entire kite from one convenient valve. Deflating is just as easy. This might not seem like a big deal, but if you've ever had to inflate and deflate your leading edge and all your struts individually, you know how nice it really is. 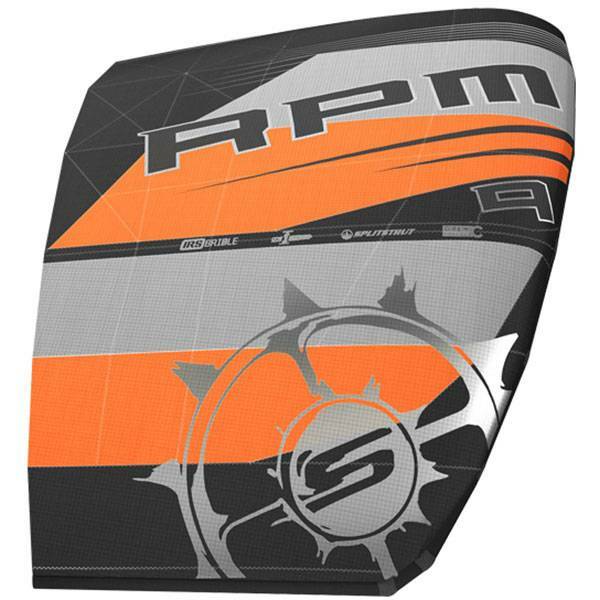 Customize Your Ride: The RPM features multiple attachment points at the kite- both on the leading and trailing edge- that allow riders to fine-tune the kite's handling and performances based on their riding style and the conditions of a particular session. 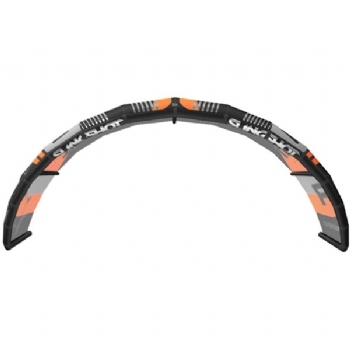 This tuning is done quickly and easily and makes a big impact on the kite's overall performance; you can choose different settings for boosting big, for unhooked freestyle, for user-friendly freeride or for riding waves, to name a few. Surf Tough tech: Strategic panel layout, superior canopy materials and precision engineered seams and stitching result in kites that can take proper beatings without issue. Slingshot's unique panel layout not only adds strength and canopy structure, it also helps contain the damage to your kite in the event that it does tear or get punctured.